• Catalyse cross sectoral exchange of best practices, tools, techniques and experiences in energy management practices/ approaches along with their impact that have high possibility of replication across sectors. • Create exposure to nationally and internationally available innovative and cutting edge technologies and practices that can support industry in meeting the future energy efficiency targets. • Facilitate Technology transfer and B2B interaction with technology suppliers to assess their applicability, cost and performance parameters in the Indian context. • Creating awareness on the provisions of PAT to help the industry in meeting the requirements under the scheme. 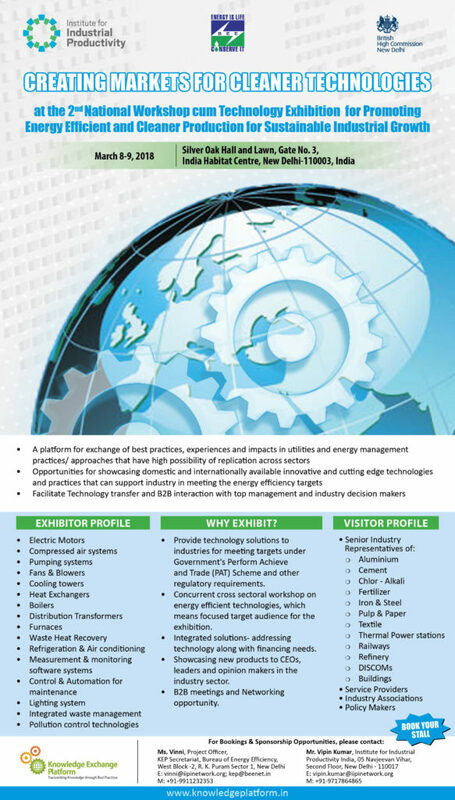 • Creating awareness about the new financing and business models for promoting energy efficiency.